Should I provide feedback as a player? If so, how should I approach it? If you’re playing in an event that has a judge, I would absolutely encourage you to provide feedback from the player perspective. “Player” is even one of the roles you can choose in Judge Center when entering a review. Providing feedback as a player provides judges with a totally different perspective than usual feedback offers. Typically when we run events, we’re concerned with the aggregate player experience more so than with individual player experience. This is especially true as the number of players increases. It’s hard to focus on one person when we need to complete tasks like getting pairings up quickly, turning rounds over promptly, or applying the IPG consistently to every ruling. I don’t mean to say that our goal is for individual players to have poor experiences in the name of the greater good. Instead, I’m pointing out that it’s challenging to prioritize individuals when we’re responsible for everyone. Offering feedback from the player perspective can help judges mesh those two goals together. As a judge playing in an event, you’re in the fairly unique position of being a player while also having a detailed understanding of tournament policy and knowledge of how things go from the other side. 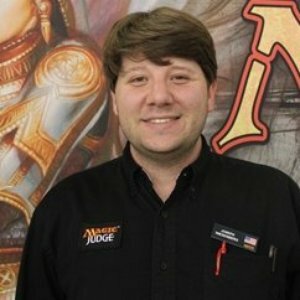 Did you think it was less fun for the judge to have assigned deckbuilding seats at your prerelease than to just let people sit with their friends? Share that! You’re in a good position to discuss the benefits of keeping all the players together and accounted for vs. letting people hang out with friends and get deckbuilding help. Providing feedback as a player can also be a great way to let a judge know what they’re doing well. They might be testing a change to their usual procedures or filling a new role, and a message of success can mean the world to a judge in that position by providing positive reinforcement for future events. In the past I’ve strongly recommended discussing feedback with your subject before submitting a review, and that’s especially true here. Even though as a player you may recognize situations that you’ve also experienced as a judge, you can’t necessarily access the full information available to the judge of the event. It’s a good idea to get an explanation from the other judge about why they made that ruling or decision. This conversation can help you focus your feedback not just on the end results but also on the process used to get there. Players don’t often provide judge feedback unless they’re upset. And nearly all feedback comes from judges who are working at events. As a result, Feedbacking as a player can be a great way to generate some reviews with fresh perspective on skill development. If you’d like to submit a question to the Feedbag, please contact me via JudgeApps. Thanks for this encouraging article. I sometimes provide feedback to judges while I am in the role of a player. And I fully agree that this is invaluable! Thanks for the comment, Milan! I agree. I approached writing this with the assumption that feedback would be a judge center review, but you’re absolutely correct that there are other options that are suitable instead of (or in addition to) that. Thank you for the insightful post Joe! I agree with your perspective that a judge who provides feedback from a player’s perspective opens up avenues for development that are normally not present for the judge who is responsible for the tournament. Normally, when a judge receives feedback from a fellow judge, technical matters are highlighted. These include rulings that the judge gave or the way the subject judge managed the tournament. Intangible things like how the player receiving the ruling felt or the satisfaction of players with the subject judge’s customer service are left unmeasured. These are things that can be highlighted in the feedback provided by the playing judge. I am of the opinion that feedback should also be solicited from the TOs perspective. In my area, TOs don’t normally send feedback via Judge Center or Apps. Feedback (if any) is usually given verbally. I find that writing down feedback facilitates retention and it will always be something that the subject judge can go back to and grow from. Perhaps this can be another subject that you can write about on Feedbag. Thanks for the comment! What you say about TOs is true in my area as well, and it’s a topic that I hadn’t really considered before. Thanks a lot for the suggestion!